Sudden cardiac arrest is responsible for 50% of cardiovascular mortality; most occur during or shortly after exertion and progress to sudden cardiac death. Sudden cardiac death in sports is rare but more frequent than previously thought and represents a highly tragic event, especially when it affects young athletes. The causes of sudden cardiac death may be cardiac or noncardiac. Of the cardiac causes, inherited or congenital heart disease predominates in young athletes (<35 years) and coronary artery atherosclerosis in older ones (>35 years). The majority of the individuals are asymptomatic, without clinical or family history, and commonly sudden cardiac arrest is the first clinical manifestation of the disease. 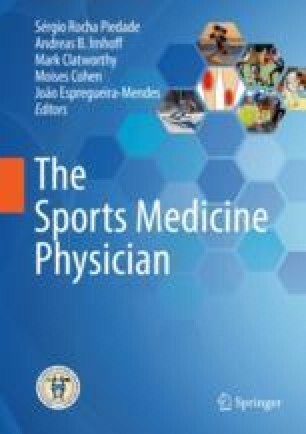 Preventative strategies such as pre-participation cardiovascular screening with an ECG offer the opportunity to identify young athletes at risk and provide appropriate treatment and exercise recommendations. However, cardiac screening remains controversial amidst concerns relating to false-positive results, lack of expertise and resources and cost-effectiveness. Another major preventative strategy is early recognition of a sudden cardiac arrest and provision of prompt emergency care. A well-established emergency plan, including personnel training with regular practice, aiming for the immediate initiation of chest compressions and early defibrillation is crucial to good outcomes. Graham R, McCoy MA, Schultz AM. Strategies to improve cardiac arrest survival: a time to act [Internet]. 2015. 456p. https://www.ncbi.nlm.nih.gov/books/NBK305685/pdf/Bookshelf_NBK305685.pdf. International Olympic Committee Medical Commission. Sudden Cardiovascular Death in Sport—THE LAUSANNE RECOMMENDATIONS [Internet]. 2004 [cited 2018 Feb 2]. p. 10–3. Available from: https://www.olympic.org/news/sudden-cardiovascular-death-in-sport-lausanne-recommendations-adopted.